It is beginning to be my absolute favorite time of year! We have had a little taste of fall with the apple orchards open and the cooler weather. 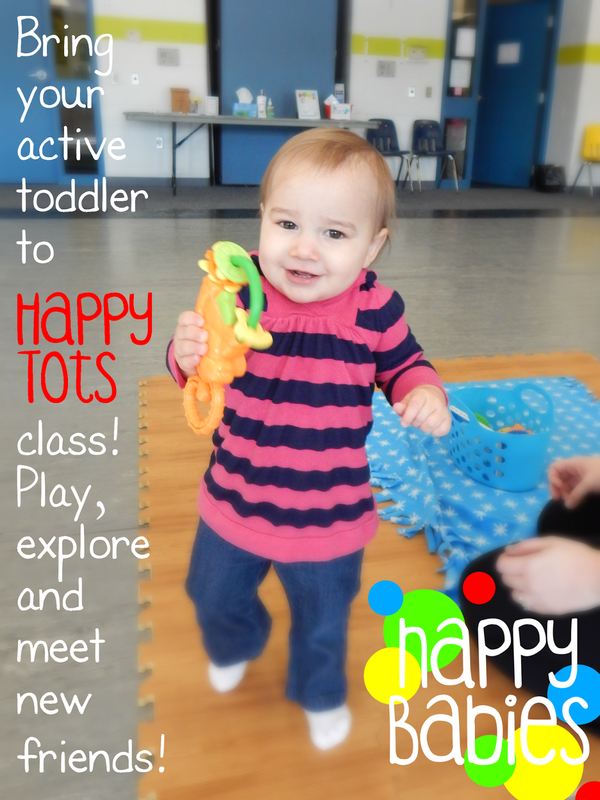 Even though the weather this week may not agree, we are starting up our FALL session of Happy Babies classes! 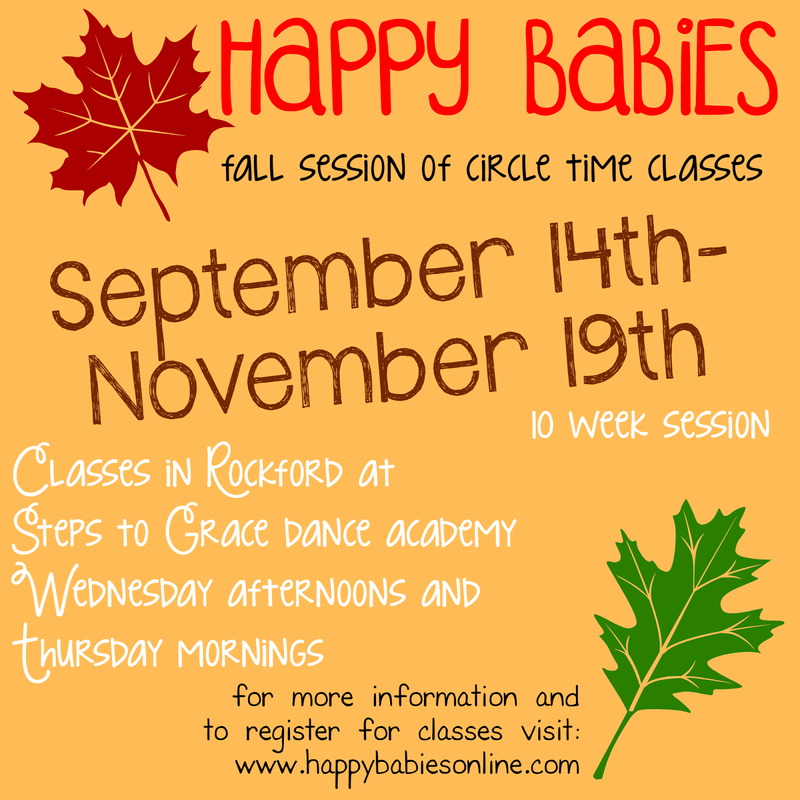 Classes for babies (newborns- prewalkers) and tots (walkers through 2 year olds) begin this Wednesday September 16th at Steps to Grace Dance Academy in Rockford (by Cherryvale Mall). The fall session is 10 weeks and ends on Thursday November 19th. Registration is on-going, drop-in anytime. 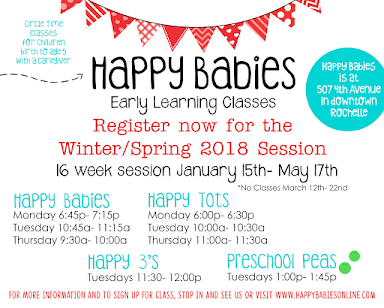 Have you signed up for class yet? Sign up for the whole session and get 1 free class! 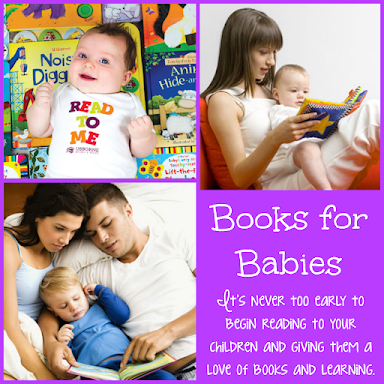 The whole session (10 classes, 1 class per week) is $45. You may also purchase a 5 class punch card for $25 or drop-in for $5 per class. Curious about classes? 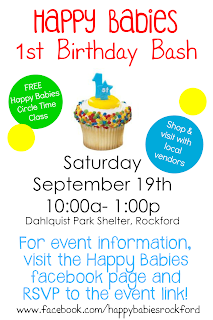 Come check out a FREE class at our 1st Birthday Bash this Saturday September 19th at Dahlquist Park in Rockford! 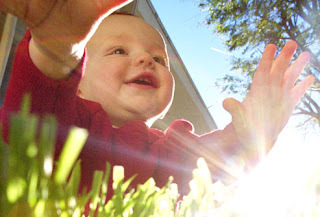 The outdoor circle time in the park will be at 11:00a. 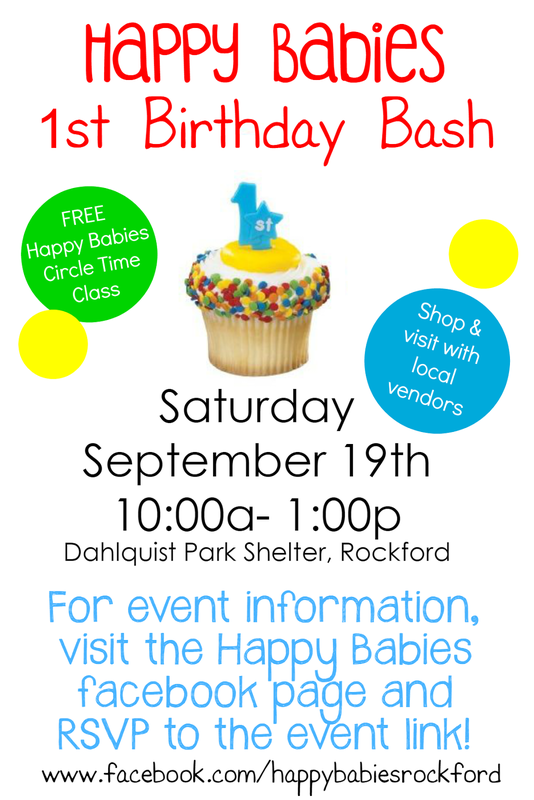 Happy 1st Birthday Happy Babies! 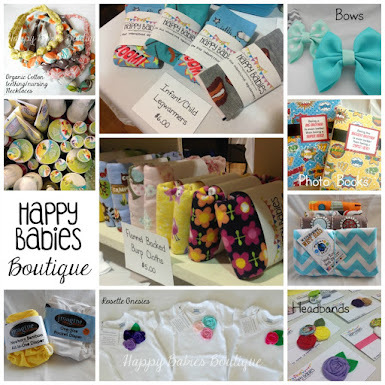 Fall Fun at Happy Babies!